The Barringer Meteor Crater in Northern Arizona. Named for Daniel Moreau Barringer, a turn-of-the-century mining engineer who first speculated that an impact meteor had caused the crater. The star field image above the crater has been digitally combined with the crater image. 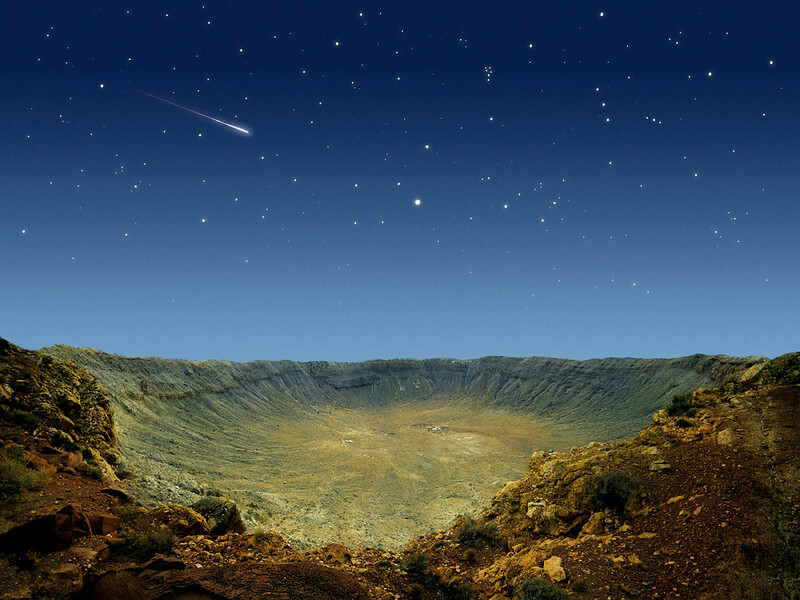 The streaking meteor image is also real.